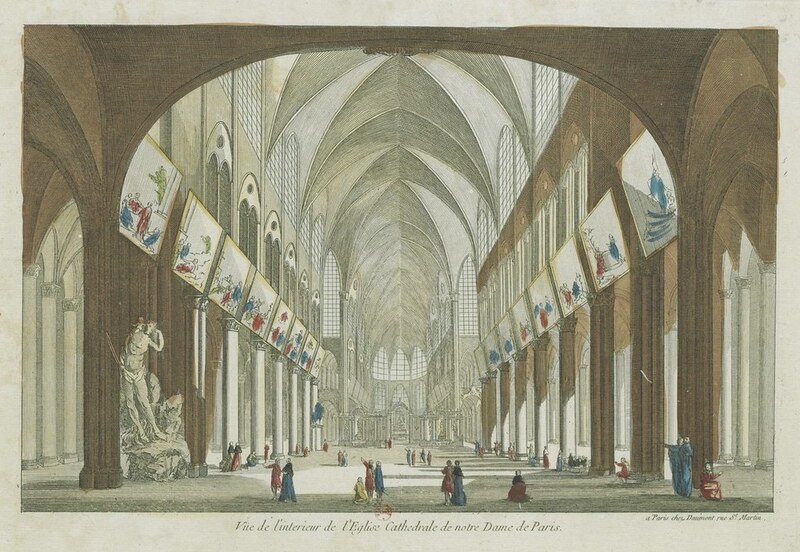 Public Domain Review has a fascinating post on Notre Dame Cathedral in art, per the sample above. See all the items here. I was in a meeting with my fellow graduate deans when I first saw the pictures. My colleague just handed me his phone. He said something, but I don’t remember his words as the image drowned out everything else. 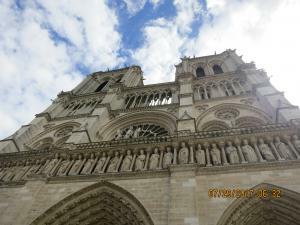 The small screen connected me to people all over the world and we watched, together, in silence and shock, as fire ravaged Notre Dame. So begins historian Beth Allison Barr’s historical and theological reflections on the fire in Notre Dame cathedral. You may read her entire Anxious Bench post here. Following the excitement of the 2017 Women’s March, many white suburban women in swing districts revitalized the Democratic Party from the ground up. In their research in several swing states, historian Lara Putnam and political scientist Theda Skocpol looked past the massive one-day demonstration to find that college-educated and middle-aged women had returned home to invest in local Democratic politics. Motivated in part in opposition to the 52% of white women who voted for Trump, “middle America’s mothers and grandmothers,” some of whom had been Republicans and independents, formed local chapters of Indivisible, attended town halls, and volunteered for campaigns for the 2018 election. Many of these new activists invoked a shared gender identity, in this case informed by a distaste for Trump’s “brand of male authority.” Yet as critics of the Putnam and Skocpol report have noted, liberal white feminists have often advanced their causes by drawing on white supremacy instead of battling it. Many newly politicized white women have had to reckon with their racial privilege as they have worked alongside African American women and men and others who have been traditionally part of the Democratic base. In their relational organizing, and in their confrontation with their racial privilege, the experiences of today’s white women political activists resemble those of the United Council of Church Women (UCCW) in the mid-twentieth century. So begins Gale Kenny’s concise essay on some of the recent history of white Protestant women’s political activism. You may read the rest of her OAH Process post here. Those two words, particularly in the borough that is now a punch line for hipster jokes, bring to mind a different America, one where the U.S. saw itself as more of a political innocent just discovering its global superpowers, where hardworking immigrant families advanced rapidly into the middle class, and where young people survived on a diet of knishes, homemade pasta, kielbasa, and other foods from the old country (but rarely drank anything stronger than a milkshake). 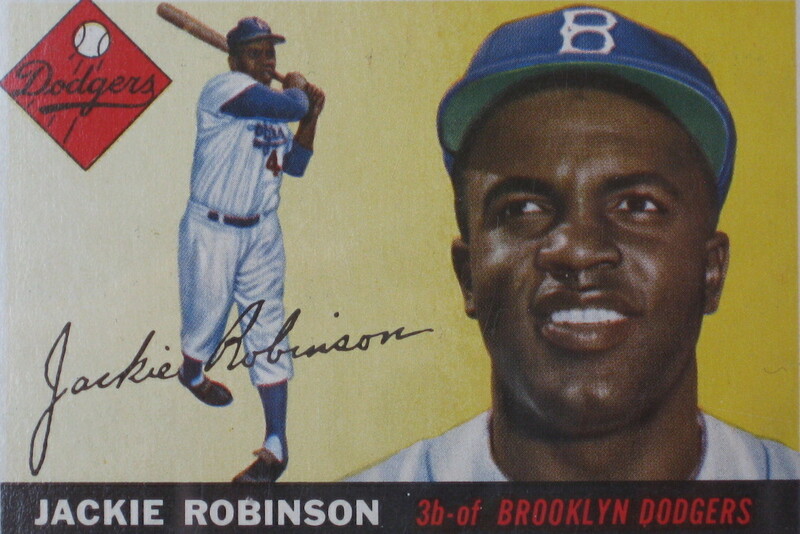 The nostalgia evoked by the phrase “Brooklyn Dodgers” was broad enough to include African-Americans making steady advances into the promise of full citizenship, symbolized by the integration of baseball by Jackie Robinson and the excellence of his teammates, from Roy Campanella to Don Newcombe. Those fantasies—of the Dodgers, of baseball, of America—came crashing down in 1957. It was announced that winter that the Dodgers and their uptown rivals the Giants, who made their home in Harlem, would leave New York the following year for Los Angeles and San Francisco. So begins Columbia University professor Lincoln Mitchell’s summary of his book on the westward move of baseball in the 1950s. You may read the entire Zocalo Public Square post here. White evangelicals, in particular, consistently favor hard-line stances on immigration. As a Public Religion Research Institute survey published last October shows, they are the only religious group which believes that immigrants threaten American society (57 percent) and which supports banning refugees from entering the U.S. (51 percent). And while evangelicals of other ethnicities have somewhat softer attitudestoward immigrants, Latino evangelicals supported President Trump in surprisingly large numbers, despite his extremely anti-immigrant rhetoric and policy proposals (49.4 percent, compared with under a third of all Hispanics), as political scientist Ryan Burge has found. But as a look at evangelicals’ long history of ministering to immigrants and refugees shows, evangelical skepticism of immigration is a relatively recent development. Before the 1990s, evangelical Christians were busier resettling the newly arrived refugees than banning them from entering the United States. Before they became immigration restrictionists, evangelicals actively endorsed and participated in a large-scale legalization effort for undocumented immigrants (and, indeed, some evangelicals still assist undocumented immigrants in that way). In cooperation with the Justice Department’s Immigration and Naturalization Service (INS), evangelical churches across the country helped legalize thousands of undocumented immigrants during the 1986 Immigration Reform and Control Act’s legalization program. So begins Ulrike Elisabeth Stockhausen’s summary of her dissertation. To read the rest of her summary at Process, the Organization of American Historians blog, click here. 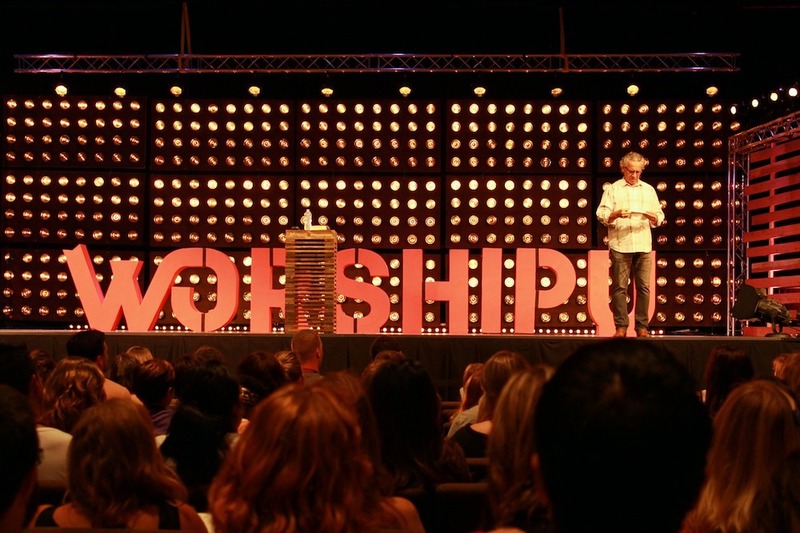 So begins Joe Mathews’ report on Bethel Church and Redding, California. You may read the entire Zocalo Public Square story here. 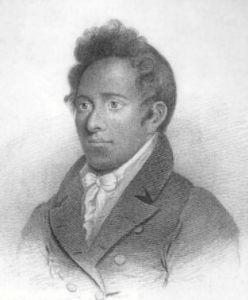 Portrait of Henry “Obookiah,” undated frontispiece in Memoirs of Henry Obookiah. Courtesy of Eleanor C. Nordyke/Wikimedia Commons. Deborah Li‘ikapeka Lee, a young Native Hawaiian (Kanaka Maoli) woman, woke in the wee hours of an October night in 1992 to an inner sensation, impossible to define and equally impossible to ignore. The “he” in Debbie’s spiritual visitation was her seventh-generation cousin, Henry ‘Ōpūkaha‘ia, who was the first Native Hawaiian to become Christianized. Born in 1792, his parents were brutally slain before his childhood eyes by Kamehameha I’s warriors, and he contemplated leaving the Big Island in the first decade of the 19th century rather than remaining there as an orphan. While training to become a kahuna, a Hawaiian spiritual leader, at the Hikiau Heiau, a traditional place of worship in Nāpo‘opo‘o at Kealakekua Bay, ‘Ōpūkaha‘ia secured passage onboard an American merchant ship, sailing halfway around the world hoping to replace pain and memory, attempting to outrun his survivor’s guilt, and seeking peace from the violence he experienced in his youth. So begins Nicholas F. Bellantoni’s brief account of his involvement in bringing Henry Opukaha’ia/Obookiah’s remains home to Hawai’i. You may read the entire piece here.